Keep Your Vacation as Stress Free as Possible! Planning a vacation can be a stressful time. 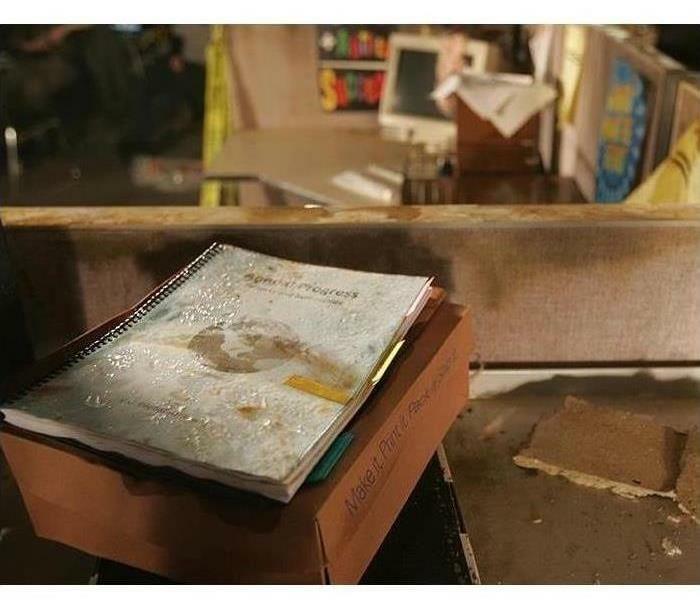 The last thing on your mind while packing and preparing to leave is the potential of water damage to your home, but it is something that can be detrimental to a property. The longer the water sits, the more damage it can cause. Below are some helpful hints to sneak into your pre-vacation check-list to ensure you do not come home to a major mess! Inspect all appliances around your homes, including their hoses. Make sure your water heater is not showing any signs of leakage. Check any drains in your garage or basement to make sure they are unclogged. Look at all pipes under sinks. Check window seals to ensure that they can withstand a rainstorm. Shut off your main water. Drain every pipe once your water is shut off. Following these steps will increase your chance of having a stress free vacation, but no prevention method is 100%. If you come home to a water damaged home, call SERVPRO of Roanoke, and we will make it, "Like it never even happened." SERVPRO of Roanoke County was approached by Ronald McDonald House Charities of Southwest Virginia with a request for a newer vehicle so they can continue to serve the families needing a home - away - from home to be close to their child during a difficult time. Because of SERVPRO’s dedication to families in their time of need we decided to partner with Ronald McDonald House Charities to cover the cost of a newer, lower mileage vehicle for their use. 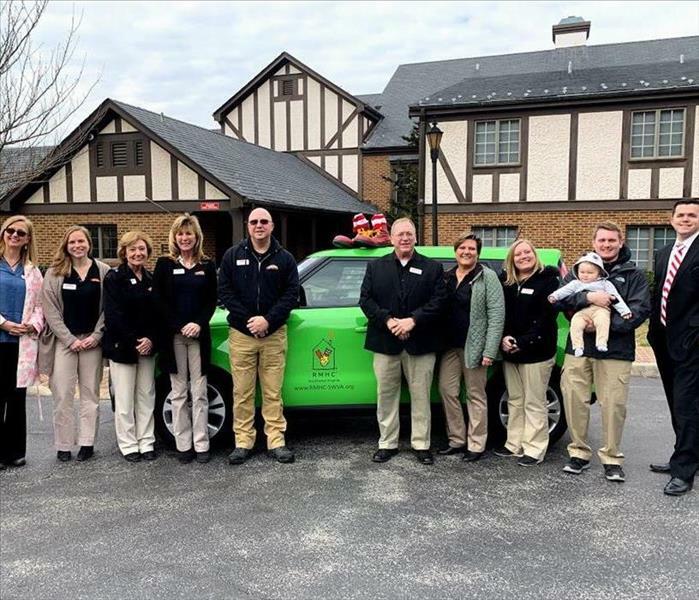 On February 27th, 2019 at 11am we formally presented the car to our partners at Ronald McDonald House Charities of Southwest Virginia. SERVPRO of Roanoke County is proud to announce that we now have three IICRC Master Certified Technicians on our team. This morning we presented Mikee Bogan, One of our Production Managers, with his Master Fire and Smoke Restorer Certificate. He now joins our owner, Quinn Mongan, who is a Master Certified Fire and Smoke Restorer and a Master Water Restorer, and Kevin Lancaster, our Vice President of Operations and our General Manager, who is a Master Fire and Smoke Restorer, a Master Water Restorer, as well as a Master Textile Cleaner. We are proud of our SERVPRO of Roanoke team, and we take pride in their education and development in our field of work. Congratulations to Mikee Bogan for taking his IICRC certifications to the next level! SERVPRO of Roanoke County is a proud sponsor of the Bigs in Blue program with Big Brothers Big Sisters. The Bigs in Blue program is built on the belief that trust and understanding in a community are developed one relationship at a time. A police officer who volunteers to be part of Bigs in Blue will be matched with a child facing adversity in the community. Many children in our area see law enforcement officers solely as authority figures, not as regular people in our communities. Bigs in Blue will not only enable youth to bond with caring, supportive officers, but will also enable officers to get to know the community they serve. Win-Win for all! The local goal is to match 30 children with law enforcement officers across Southwest Virginia in 2017. All officers in the police departments, fire departments, sheriff's office and emergency response agencies are invited to make a difference in a child's life by becoming a Big. October is Fire Prevention Month, so it is the perfect time for you to start getting educated on all things fire prevention related! 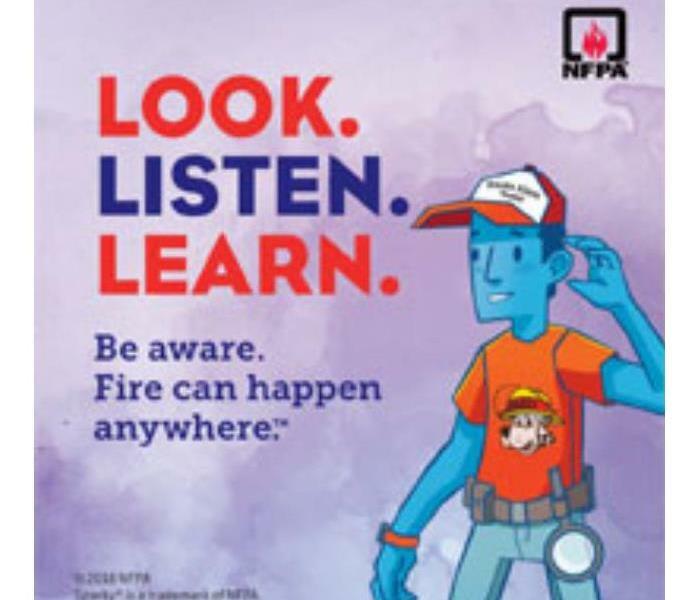 Below are facts provided by the National Fire Protection Association to help get the word out on how dangerous, common, and preventable home fire damages can be! Between 2011 and 2015, U.S. fire departments responded to an average of 358,500 home structure fires per year. These fires caused 12,300 civilian injuries, 2,510 civilian deaths, and $6.7 billion in direct damage. Cooking is the leading cause of home fires and home-fire injuries. For decades, smoking has been the leading cause of home-fire deaths. Heating equipment was involved in one in every five home-fire deaths. For more facts or information on fire protection and prevention click here! 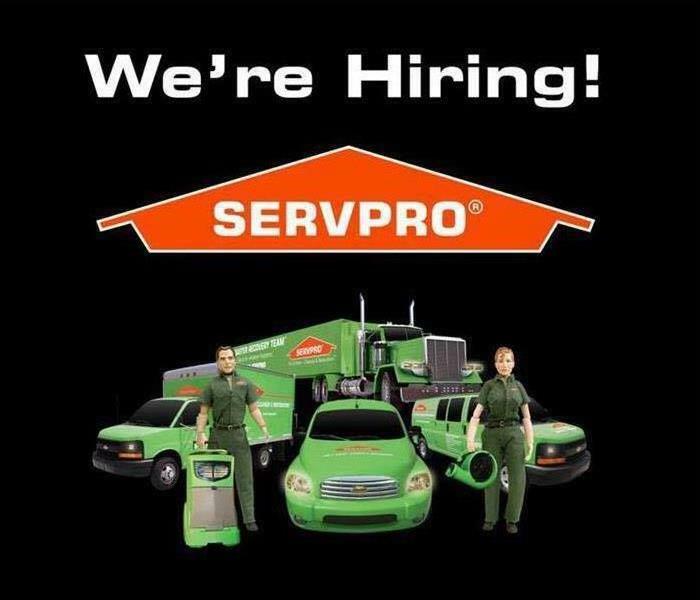 SERVPRO of Roanoke is looking for new members for our growing team! Check out the descriptions below and see if you are a good fit for our SERVPRO family. Do you love working with people? Are you both strategic and hands-on? Do you love focusing on the customer? Then, don’t miss your chance to join our Franchise as a new Accounting & Human Resource Administrator. In this position, you will be making a difference each day. We have a sincere drive toward the goal of helping make fire and water damage “Like it never even happened”! Our franchise is seeking someone who is a true ‘people person’. Someone who is dynamic, organized, and is a serious multi-tasker. If you are self-motivated and have superb interpersonal skills, then you’ll thrive in this work environment. Our idea of the ultimate candidate is one who is proactive, truly enjoys providing superior service, and loves taking ownership. Does this sound like you? Click here to learn more about the job description and responsibilities and to learn how you can apply today! Our Franchise is seeking someone who is comfortable working hard in challenging situations, enjoys meeting new people, has excellent communication skills, and is a serious multi-tasker. If you are self-motivated and have superb interpersonal skills, then you’ll thrive in this work environment. Are you highly dependable and super-excited about routinely exceeding expectations? Then you may be our perfect hero! 3/15/2019 - Keep Your Vacation as Stress Free as Possible! 10/15/2018 - Know the Facts! 10/8/2018 - "Look, Listen, Learn"